Every Bajan has seen or heard about this before – sometimes involving family, friends or old Aunties. Mostly we keep our mouths shut. We keep our mouths shut because we know how it is ’bout hey. We know that there is no place to go, and we have to spend the next 70 years on this little island, God willing. Better not to cross the powerful political and financial elites who can have all your family sacked from their jobs over a few months with a word here and there. Yes, it’s that bad on any of these small islands, including Bim. The outside world over and away in the UK and the USA don’t know the truth about living here. … unless the building permissions are changed by the government. Then scrub land becomes worth gold… but it never happens in the widow’s hands. Never. Never ever. Never. So the government ‘compulsorily acquires’ the land for some “really important national purpose…” but maybe after the government owns the land for a few years, development doesn’t happen. Budget problems, ya see! So the government sells the land to private interests and sometimes for less than the purchase price. Happens all the time… private lands seized by government for agricultural prices. Then the government flips the land to private interests for the same price, then the new owners sell it for thirty, forty or a hundred times the price paid the widow. But it is all engineered from the start. Happens all the time. Farmers are a second class of victim. Scrub land that used to be profitable, the farmer getting older and his children professionals or gone away with zero interest in agriculture. So the farmer applies for development permission. Once that permission comes through, his land is worth a fortune. Promises and Lies… Who can tell the difference anymore? Congratulations to Jack and Callie! 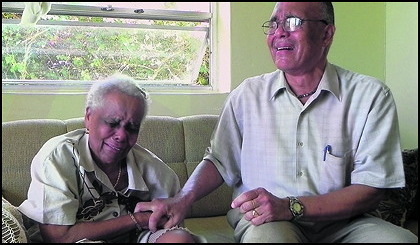 The Kidds are one of Bim’s upper crust families and we’ll point out that they have done so much good. Nonetheless, they’ve had their ups and downs and we follow the family’s news with the interest that comes with all celebrity. We admit it! So… which old story to feature? We searched our own database for Kidd stories and we came up with a few. This is the one we’ve chosen to leave at the top for a few days. If you want to see them all, search “KIDD” in the little box at the top right and you’ll have them all. Actions of Barbados High Court Justice Elneth Kentish & Businessman Johnny Kidd Are What President Obama Warned About! 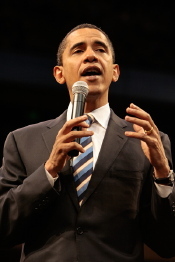 President Obama Targets Offshore Tax Havens that don't enforce corporate standards. The Obama Administration is on the offensive against offshore banking jurisdictions like Barbados – in part because Barbados often allows corporations to play fast and wild with the few laws we do have about records keeping and accountability. 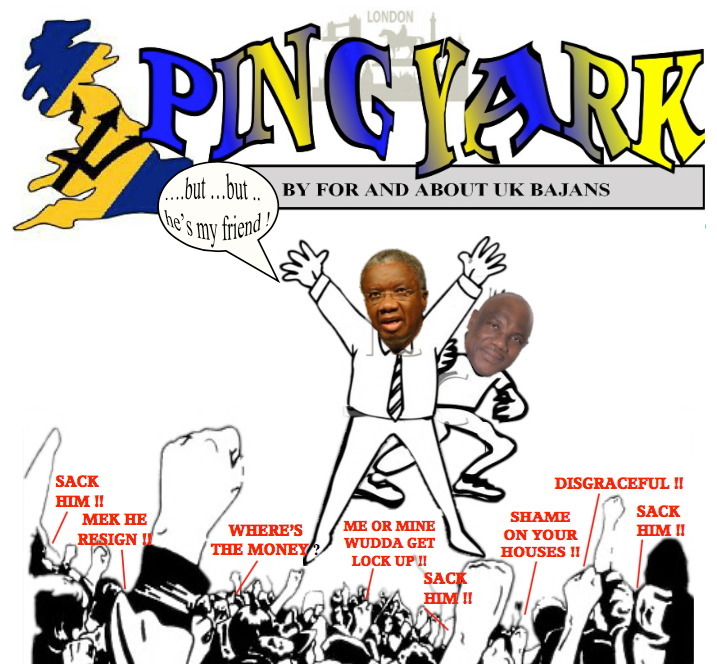 Most readers of Barbados blogs are somewhat familiar with the story of the Kingsland Estates dispute and the fraud allegations and trials concerning a billion dollars of prime Barbados real estate that have been going on for some years now. The one thing that Barbadians and others have learned from following the story is how the powerful people on one side of the case keep violating Barbados laws concerning corporate records and never get charged with any offense for re-writing history whenever it suits their purposes. Mottley Barbados Labour Party Demands Answers About CLICO & Sam Lord’s – Too Bad The BLP Weren’t So Committed To Transparency When They Formed The Government! 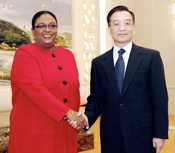 When Deputy Prime Minister, Mia Mottley was always happy to meet a fellow despot. Mia Mottley and her band of deposed, dethroned and defeated government despots make for just about the poorest quality official opposition that Barbados has suffered under in many a year. … and that is saying quite a bit! Whether it was Minister of Public Works Gline Clarke building a house for his mistress on land that his government expropriated for “public housing”, Mia Mottley calling for talk shows and blogs to be censored, Tourism Minister Noel Lynch storming off a radio show because a listener asked how Minister Lynch became a millionaire on a government salary – or any number of other scandals, hardly a week went by without the BLP government exhibiting some new corruption. 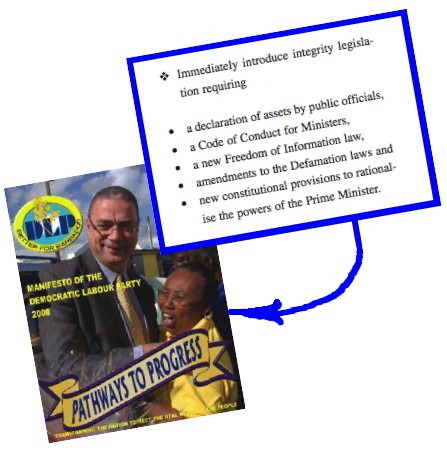 So the tendency is to marginalise and ignore the BLP Opposition, and we at BFP understand that because we mostly ignore them too – just like the Thompson government ignores them. Here is what Mottley and the BLP have to say about the government’s compulsory aquisition of Sam Lord’s Castle. The article was originally published in the Barbados Advocate and also circulated as a BLP emailed newsletter. When you read the article, put aside your thoughts about the BLP being corrupt themselves… and just go on the merits of the article itself. Why is the David Thompson Administration rushing to compulsorily acquire Sam Lord’s Castle from Clico? This is the question Barbadians want answered today. After all the promises of open Government, how is it that Barbadians first learnt of the acquisition through a Section 3 notice published only in the Barbados Advocate? Why, despite his promises of transparency, has the Prime Minister not kept the country up to date on the state of Clico’s affairs in Barbados? 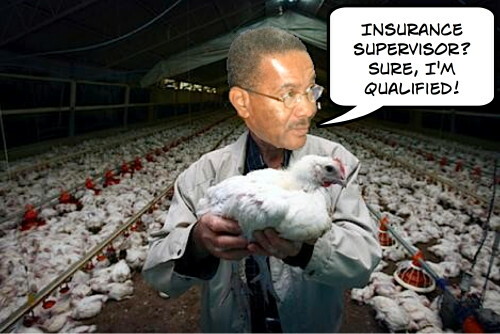 Why has he neglected for months the concerns of Barbadian investors and policyholders, who are unable to get their money and who do not know what is going on? How is it that the OECS regulators are moving to place the CL Financial subsidiary – British American – under judicial management in the Eastern Caribbean, but here in Barbados, despite repeated calls from the Leader of the Opposition, Mia Mottley, that is not an appropriate remedy for our own people?